The last time I scoured the web for “Write for Us” pages, the ensuing post was very well received. It’s not always easy to find some of the hidden markets – even though the web is filled with them. Doing a web search for “write for us” helped me to land some very lucrative opportunities and I’ve been recommending this method of searching for years. I know you’ve all been clamoring for more “Write for Us” pages, and I will continue to bring them to you as often as I can. Please note, it’s a frustrating and long process as many of the “Write for Us” pages on the web are non-paying opportunities and there’s a lot to go through. I’d say for every ten pages I find, only one offers compensation. Adding insult to injury, many of the places looking for free labor provide huge laundry lists of requirements and guidelines. I mean, come on, people. If you want free writing, you can’t ask for the world. Note than quite a few of these markets pay over $100 per article or blog post. As always, I try to only list those markets paying a respectable wage. Sometimes, payment isn’t indicated or there are vague details. I didn’t include obvious non-payers and if there are any in the bunch, I apologize. If I can find payment details, it’s listed next to the market. Australian Women Online – Pays between $50 & $150 per article. Destinination 360 – I think they pay. Let me know if they don’t and I’ll remove them from this list. Everyday Christian – They accept freelance submissions, check on pay. Hippie Magazine – Some writers are paid. ISEdb.com – Please indicate that you wish to receive payment for your article. Miller McCune – No indication of pay, but I’m thinking there’s a good chance. Net Tuts – Will negotiate rate based on your tutorial. Today’s Mama – Payment varies. Well, we made it through another week. I hope yours was both profitable and productive. I want to thank all who applied for the blogger gig. I have over 200 applicants to go through thus far and it looks to be a very difficult decision. In addition to a new blogger hired from the advertised gig, Freelance Writing Jobs is thrilled to welcome Carson Brackney to our blogging team. Carson and I go way back, we both started our writing blogs around the same time and both our blogs made the very first list of the Top 10 Blogs for Writers. Carson is funny, outspoken and I value his opinion, I hope you will as well. John Hewitt of PoeWar will also be a contributor to FWJ. John is a technical writer and poet and knows his stuff so you’re sure to benefit. Incidentally, one of the highlights of my BlogWorld and New Media Expo this year was that I got to meet and spend time with John. A couple of weekends ago, I took some time to clean out my four drawer file cabinet. Generally I organize files once a year in order to keep track of items such as freelance writing check stubs, invoices, contracts and receipts. This time I cleaned out the whole cabinet. I found hundreds, and I mean hundreds, of writing clips from iParenting Media, LegalZoom, Oxygen Media, my old newspaper column and so many other markets I wrote for early on in my career. I also found tons of “idea” files. As I was going through these treasures, I wondered why I don’t do this sort of thing thing more often. Lessons Learned from Cleaning My File Cabinet. Reworking old clips: It was interesting to read articles written ten years ago and realize many of those ideas are still relevant today. I’m reworking some of my clips into articles with a different, more current focus in order to shop around. Old ideas can still be put to good use I knew I saved a few “idea” notebooks, but I didn’t realize exactly how many were in there. I didn’t go through all the journals, but I enjoyed reading my old thoughts and ideas. As mentioned above, many of my old ideas are still relevant today. I added them on to the editorial calendar so I’m sure not to forget about this time, and the rest of my notebooks are close enough to keep handy. There’s a reason I saved those old back issues of Writer’s Digest My husband has a basement shelf filled with back issues of Car & Driver and I have a file cabinet draw filled with Writer’s Digest. These past copies are a bonanza of information, especially the gold mine of opportunities found in the markets section. Though I’ve contemplated tossing them out over the years, re-reading the back issues justified my decision to keep many of the copies. Those old newspaper and magazine clipping saved to give me ideas? Update them! When I first began freelancing I wrote mostly personal finance articles, especially for my weekly newspaper column. Every now and then I came across relevant magazine or newspaper articles I felt required further discussion or investigation. I saved many of these in folders to revisit when I was looking for ideas or have time to spare for research. Now, I still have those old clips but they’re giving me ideas for a more modern slant. My old contacts are still around. I also went through a rubberbanded bundle of business cards. I think it’s some of these collaborators, colleagues and clients a call to say hello. I’m one of those people who have problems letting go. I’m not a hoarder, but I do hold on to ideas for “some day.” Last weekend I got realistic about the usefulness of some of the articles and clippings I collect. Needless to say shredder has been pt to good use. Being organized allows me to run my business more efficiently. Those old ideas are terrific, but don’t forget to start new idea files and notebooks. Fill them with whatever comes to mind. This time though, don’t forget to check back with them often. The last thing you want is for your best stuff to get locked away in a file cabinet for ten years. 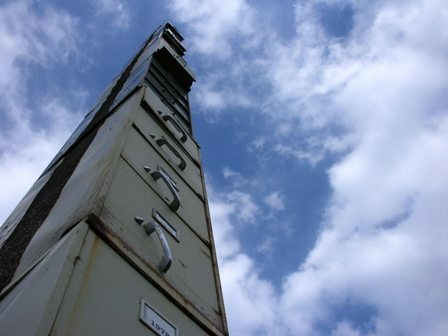 Have you cleaned out your files lately? If so, what lessons did you learn? Today we’re offering up some parenting markets. We’ve been listing magazine markets and other writing guidelines this week and many valid questions are being raised. For example, how do I know these markets accept freelancers, and also, how do I know the pay rate is what they say it is? It’s simple, I did some research. Research that’s easy enough for every single freelance writer to do if he or she wishes to write for certain markets. I looked up many markets on the web and, also, backed them up with a copy of the Writer’s Market – the 2010 edition. If some of the markets were still a little fuzzy with the details, I emailed or called to verify. If the market accepts freelance pitches, they’re more than happy to email current guidelines. If you query any of these parenting markets and learn my details aren’t correct, please let me know so I can make any necessary adjustments. However, as of January 2010, these markets appear to be accurate. When researching markets online, always consider how long ago each market may have been posted. If you’re unsure of whether or not they’re current, go to the library and confirm by checking the current Writer’s Market or contact the editors for up to date guidelines. If you’re reading this two years from now, the parenting markets listed here will offer a starting point. As always, familiarize yourself with several back issues before querying any market. BabyCorner.com – Parenting Web Magazine – Pays .02 – .04 per word. Online guidelines. Bay State Parent – . Pays $60 – $100. Hyperlocal market only. Query: [email protected] or [email protected] at least two published clips. Brain Child – Pays a “modest” fee. Please see online guidelines. Charlotte Parent – Pays $15 – $75. Freelance contributions welcome. Please see online guidelines. Children’s Advocate – Pays $225 – $450 for assigned articles. 60% freelance written. Contact for complete guidelines. Family – Pays $10 – $200. For Central NJ parents. 75% freelance written. Contact for full guidelines. Hudson Valley Parent – Pays $25 – $120. 75% freelance written. Please see online guidelines. Island Parent – Pays $35. 98% freelance written. For Vancouver parents, please see online guidelines. Indy’s Child – Pays .10 – .12/word. Please see online guidelines. Mothering – Pays $200 – $500. Please see online guidelines. Accepts unsolicited submissions. Parent Guide – Pays $25 – $150. Please see online guidelines. Plum Magazine – Pregnancy publication for women over 35. Pays .75 – $1.00/word. 90% freelance written. San Diego Parent – Pays $22 – $90. Query for full guidelines. 100% freelance written. Sonoma Family Life – Pays .08.word. Please see online guidelines. Today’s Parent: Pregnancy & Birth – Pays up to $1/word. 100% freelance written. Please see online guidelines. Working Mother – The only guidelines I can find are from 2009, with no mention of pay. I’m still waiting to hear back from the editors, but you can try on your own using the online guidelines in the mean time. Plus don’t miss our regular Monday Writing Markets. When I first began freelancing, I found clients by searching for “Write for Us” pages of different websites. In fact, I found a couple of cushy gigs writing for websites that weren’t very well known. I’ve been wanting to compile a list of many of these types pages for some time, and since we’re talking about markets this week, it seemed to be as good a time as any. You’d be surprised at how many unadvertised opportunities are out there. Today’s offering is only part one. Keep in mind that I did my best to find paying markets. If the “Write for Us” page clearly states it’s a non-payer, I didn’t include it. I also didn’t include those markets only paying a rev share. Some pages here didn’t indicate one way or another whether they pay. If I thought there was a chance, I dropped it on the list. If payment is indicated, it’s noted next to the link. In many cases, it’s noted there is pay, but the amount isn’t specified. Also, some of these are book publishers. 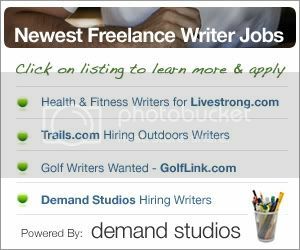 Since many members of the Freelance Writing Jobs community are aspiring book authors, I felt it appropriate to add them here. I hope you find something here that interests you! Adobe Press – Accepting book proposal. Archaeology Magazine – Payment varies. Code Gravity – Send rate quote with query. Consumerist – Not sure about the pay. Expat Daily News – Unspecified pay. Green Prophet – Unspecified pay. Hand Cell Phone – Pays $8 – $15/cell phone review. The Humanist – Unspecified pay. IBM Press – Accepting book proposals. LoveToKnow– Pays $20 – $25 for a 650 word article. Michigan Metro Parents – Pays $30 – $250. Microsoft TechNet -Unspecified pay. Writers who are employed by Microsoft aren’t eligible for paying opportunities. MobiForge – Paying market but unspecified pay. PeachPit Press – Accepting book proposals. Port Iris – $10 per short story. Rough Guides – Accepting proposals. Simple Talk – Unspecified pay. SmallBizLink – Makes no mention of pay, but owned by Monster.com. Tutorial Reports – Unspecified pay – only pays contributors in India and U.S. Web Services Architect – Unspecified pay. The Woman’s Media Center – Unspecified pay. …To be continued. There are plenty more where these come from and I’ll be posting them here! Please let us know if you successfully pitched one of these markets and how you did it! Also, don’t miss our lists of greeting card markets, poetry markets and our regular Monday writing markets….plus be sure to check out this list of writing markets paying over $100. 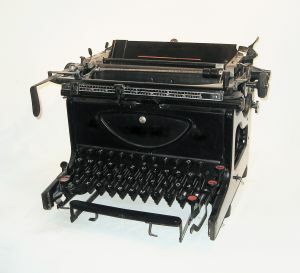 Is it your goal for 2010 to find new markets for your writing? 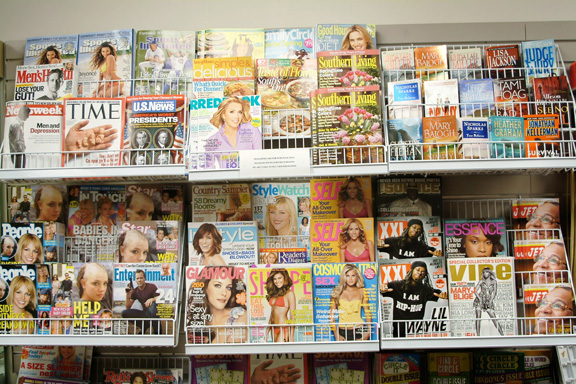 The good news is there are so many publications and places to choose from. The challenge is knowing where to look. If you want to fit some extra querying into your strategy for the new year, consider these tips for finding new markets. 1. Check out the waiting rooms: Waiting rooms provide a bonanza of information for market-seekers. Many businesses subscribe to a variety of titles to keep their clients and patrons entertained while waiting. Staff members also recycle by bringing in magazines from home. Sort through the tables and racks to see if anything captures your interest. If so, open to the masthead and jot down the contact information. Once you get home, search online for more information so you can better tailor your pitch. 2. Visit the library: The library is even better than a waiting room for learning about new magazines. Most libraries subscribe to periodicals from around the world. Every time I browse magazines at the library, I find titles and niches I never even knew existed. Jot down the titles that interest you and then find yourself a copy of the Writer’s Market. Inside you’ll find almost everything you need to know about querying those markets. 3. Use the Writer’s Market: Speaking of Writer’s Market, if you don’t want to use the library copy each time you want to check out a market, consider buying you’re own. You can purchase one new or used*, or you can subscribe online for (I think) about $5 per month. What makes the Writer’s Market so valuable is that it lists tons of markets, all their contact details and everything you need to know about querying each market. It also includes querying tips and more. 4. Visit writing forums: Writing communities share market tips and advice all the time. Becoming a part of the various communities will enable you to share and learn about the different markets and the best ways to break into them. 5. Do a web search: Searching for “Writers Markets,” “Submissions Guidelines,” “Write for Us,” and “Writer’s Guidelines” will turn you on to plenty of new opportunities. 6. Talk to other writers: What are your writer friends doing? Why not ask? Ask your friends on Twitter and in the forums. Ask the people in the groups you subscribe to or the groups you personally attend. Most writers are happy to share.